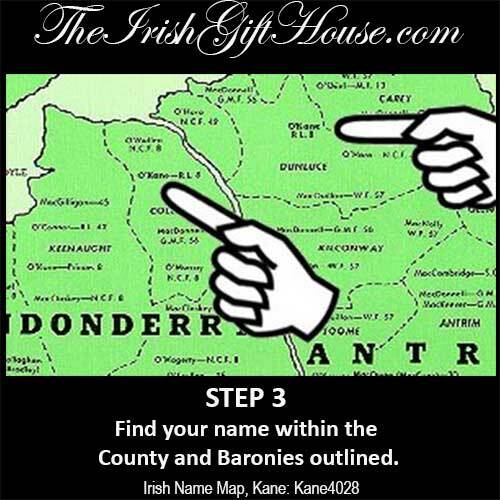 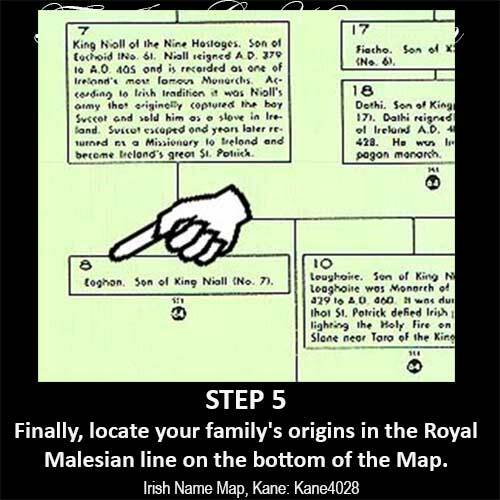 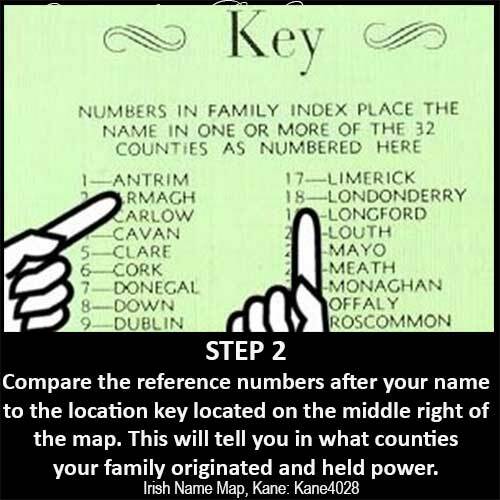 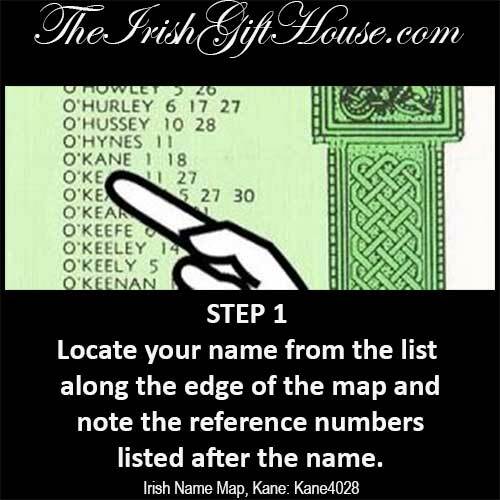 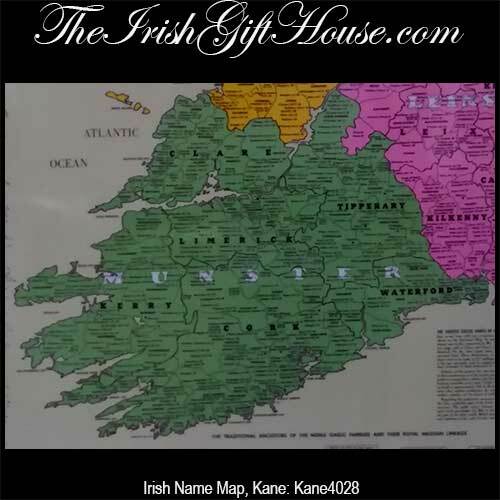 Irish family name maps will assist you to trace your roots. 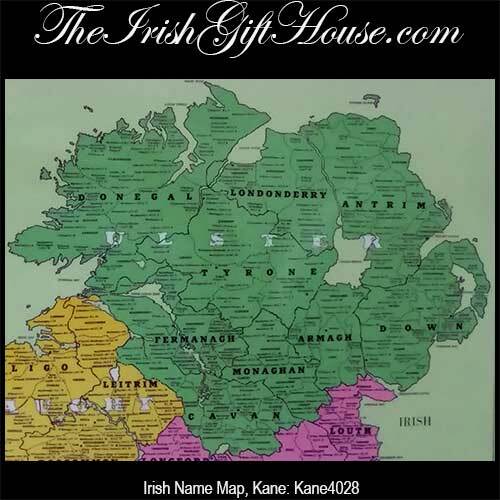 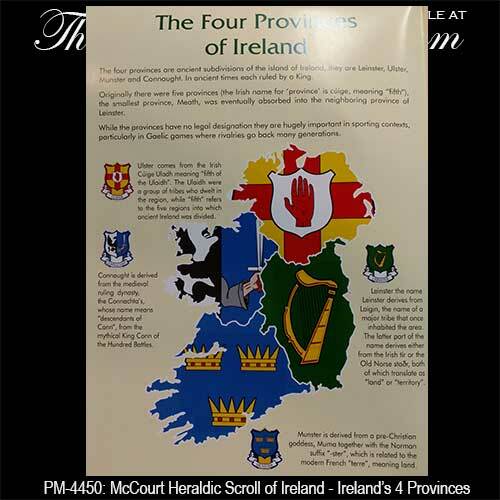 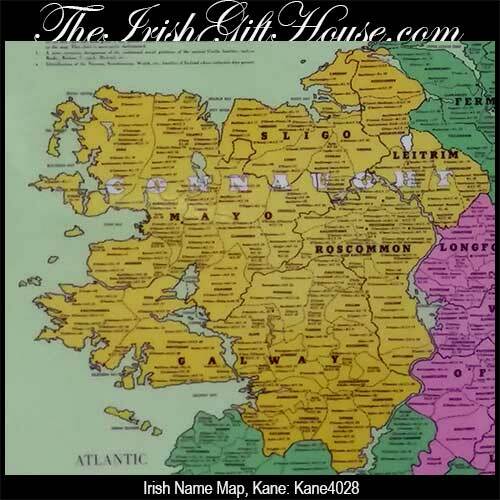 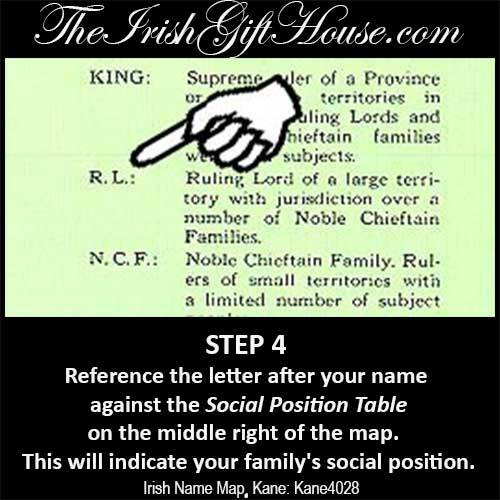 Two of our best selling gifts are the McCourt Irish Family Names Map and the Kane Irish Family Map of Ireland. 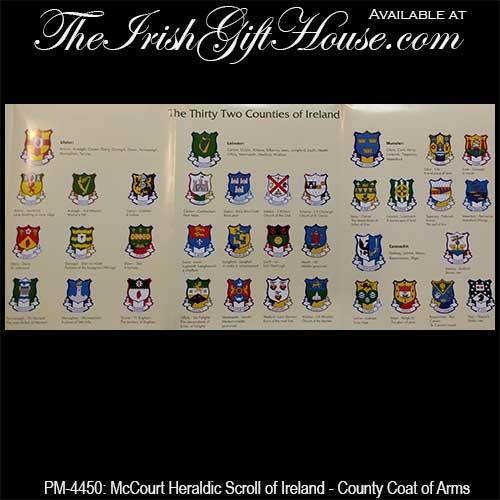 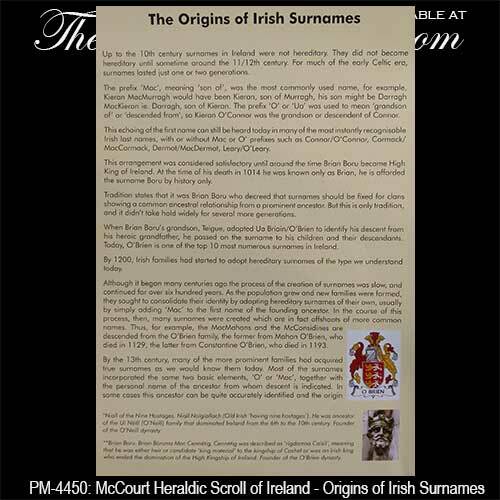 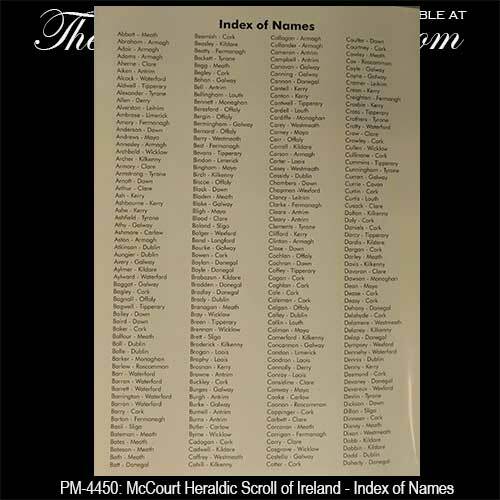 For many years the Mullins Heraldic Scroll of Irish Family Names has been the go to Irish coat of arms map, but it is now out of print. 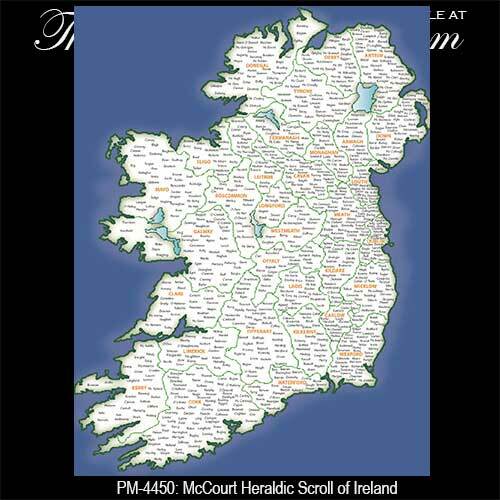 The Irish Gift House is happy to report that we may have found a superior replacement in the McCourt Irish Family Names Map. 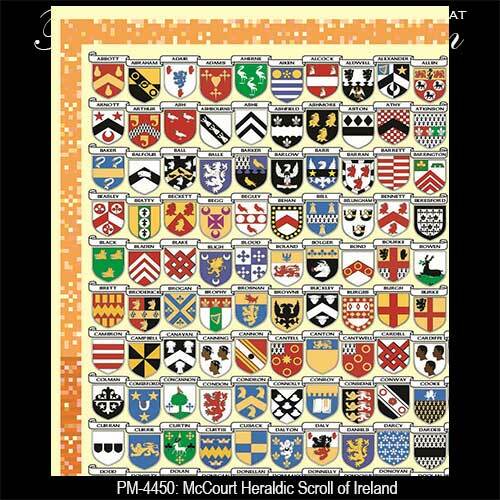 It has full color Irish coat of arms like Mullins but the McCourt map is double sided with additional information on the reverse side. 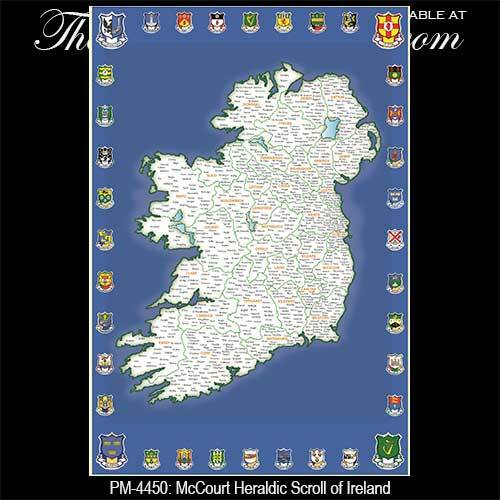 This Irish names map features full color coat of arms for 938 families. 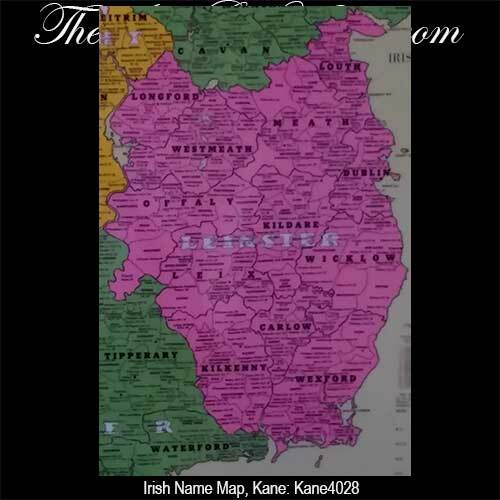 This Irish names map will allow you to trace your family roots.